We’ve been hearing that Europe is sending us winter. Yesterday, we were waiting for the rain to begin. It didn’t, although we sensed it wanting to. Today, it’s simply windy. Simply loud. Sand swirls and anything not tied down is flapping around. A friend, Sarah, called it a Wuthering day. Indeed, it is. Carmel fire fully extinguished – Israel News, Ynetnews. 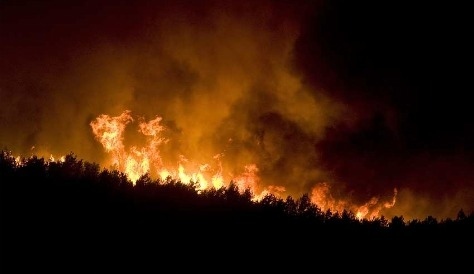 Israel might have been able to prevent Carmel fire, reports show – Haaretz Daily Newspaper | Israel News. Along with casting blame for arson, the facts of the inadequate resources of Israel’s firefighting agencies are being discussed throughout the country. It was well-known long before last week that the firefighting service in Israel had serious deficiencies. Nonetheless a succession of government agencies, prime ministers and ministers of the interior and of finance failed to deal with the situation. A review of state comptroller reports, recommendations from professional investigative committees, deliberations by Knesset committees and correspondence among agencies all testify to the fact everyone foresaw such a catastrophe, but very little was done to head it off. Be’er Sheva dedicates Israel’s first ‘socially conscious street’ – Haaretz Daily Newspaper | Israel News. On Ringblum Street, 10 businesses commit to uphold labor laws, offer handicap access and protect the environment. judih notes: This is an accomplishment orchestrated by involved citizens who crusaded the businesses on the street and the city council to create change. Read the article. On Kibbutz Nir-Oz, קיבוץ ניר-עוז)we are celebrating 100 years of the Kibbutz Experience. One hundred years which started out forging strangers into communities, banding intellectuals and labourers to commence the urgent work of draining swamps and clearing rocks, resting in the evenings to dance and discuss ideologies. One hundred years of communal clothing, Children’s Houses, defending borders, working together to survive. Last night’s ceremony on Nir-Oz was modest, quaint, not a huge cultural success, but still a coming together to speak, to sing and then to watch Independence Day fireworks. Many will be barbecuing today, sharing pita and hummus. It’s the tradition all over the country. Me? A day to ponder, to gather my thoughts. As usual, I wonder how much to print, what is politically correct. 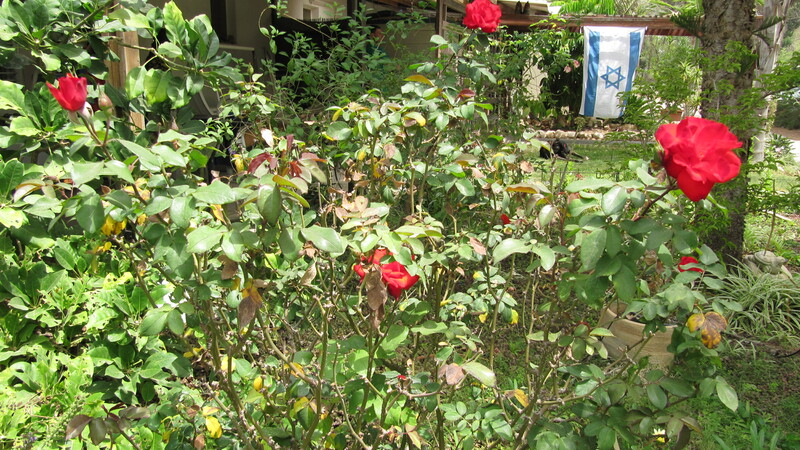 I love the lifestyle of kibbutz. It offers natural environments, green pastoral views, birdsong and spaces. I have a roof over my head, food for my children. We are still mid-process of procuring security rooms in case of Red Alerts or mortar fire. But, more than that, I have a genuine love of kibbutz which keeps me here, even as I sadly acknowledge that capitalism is grabbing hold of the old ideals and tossing them aside. Every day there is a see-saw effect going on. 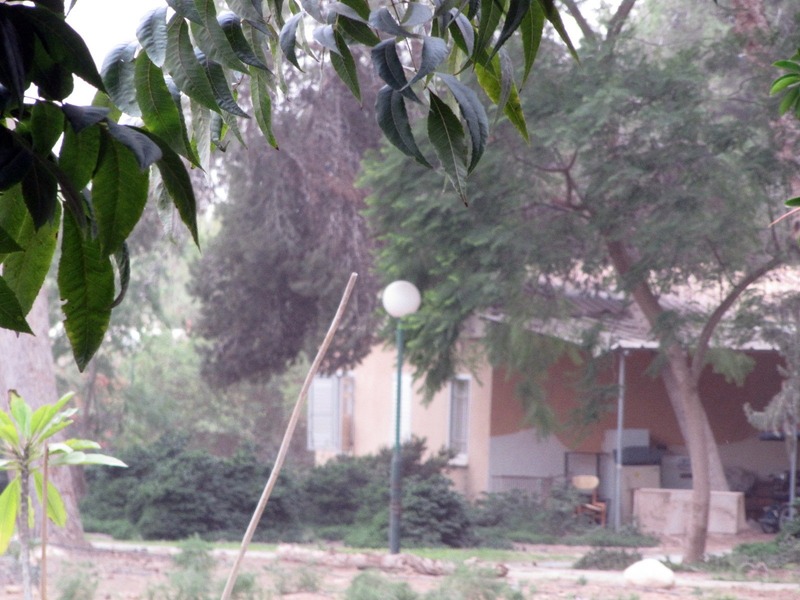 Some want the old form of kibbutz with its communal logistics. Others want a personal salary and the freedom to disengage from the social experiment that has lasted this long. This blog has never been a place for me to air my own opinions. It is intended as a safe place for the stories of all in this community. There will be more stories to come! Interviews are slated for this spot. Stay tuned! 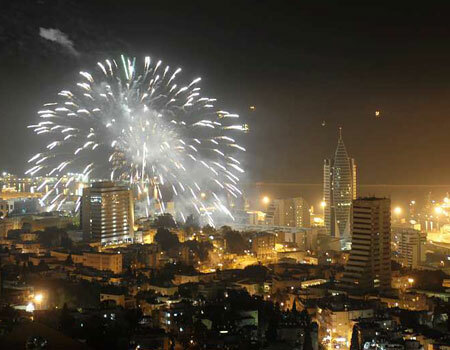 And Happy 62nd Independence Day to allץ May this year show a widening of true talks and negotiation for peace. Soon as possible, people. Let’s get this show on the road. a friend from neighbouring Kibbutz Nirim called me to report that a qassam had hit the kibbutz. There were no injuries, he reported. A few minutes later, I received a text message from another friend from Nirim. The kibbutz is 3 kilometres away from us, but I didn’t hear their “Tzeva Adom” (red alert) and the boom that I did hear wasn’t louder than a lot of other booms we’ve been periodically hearing. This particular qassam fell within the kibbutz but nobody was injured. Pure luck. Pure chance that the ill-aimed qassam managed to land where it did. The difference now is that both Kibbutz Nirim and Nir-Oz are mid-process of receiving security rooms. Theoretically, within a few months, we’ll have a ‘safe’ place to protect us in the event of receiving the ‘Tzeva Adom’ alert. Meanwhile, the security rooms are far from finished, and during the process, the workers (both Arab and Chinese) are living on the kibbutz itself, some leaving the kibbutz on the weekend. It’s not. It’s living with continued interruptions, daring not to leave a door unlocked, or items outside, for fear that they won’t be there upon our return from work. But here we are. The Security Ministry has ordered these structures to be built, and with the continued atmosphere of periodic qassams and perhaps worse, we await the moment when our lives can pick up out of the ever-present dust and pruned tree branches, noise of drills, saws and tractors, and get back to the idyllic peace and quiet and simple smell of cow and chicken manure that we call home. IAF strikes two targets in southern Gaza Strip – Haaretz – Israel News.